particular theme, occasion, person, or idea. It's a simple concept but one we often overlook. First, identify the need or purpose for this item. Next, identify the recipient or user of this item. Then, brainstorm how you can combine those two things and create an item that has a specific purpose for a specific person. I am, in fact, in the middle of doing this right now. I'll be attending a three day event this summer with many of my friends and family, the 2019 Love Never Fails Convention. I wanted to make a small gift item for each of them, and some extras to give to new friends I'll make while attending. I came up with the idea of making wearable pins/brooches and personalizing them with the convention theme and other related thoughts. 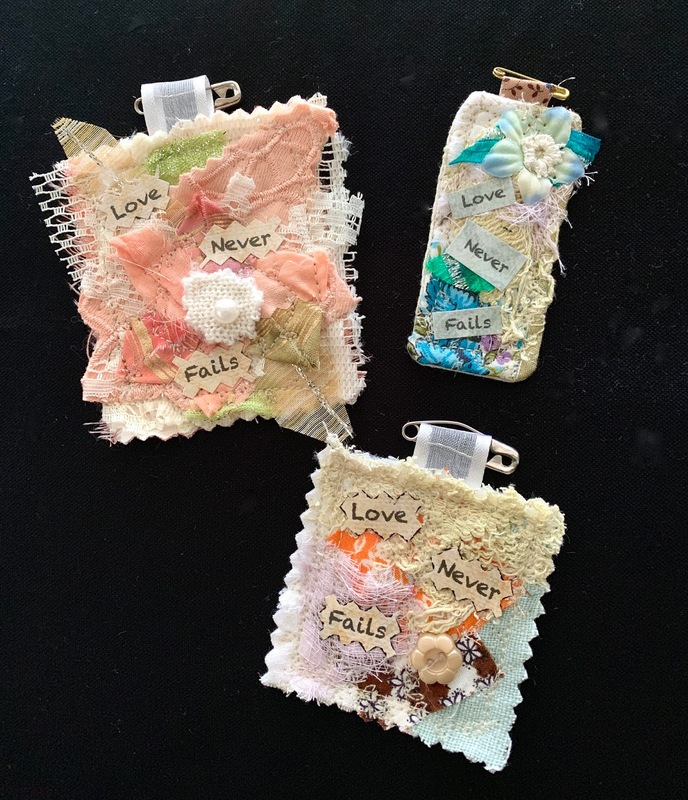 My friends and family love little momentos, especially when they're handmade with them in mind. 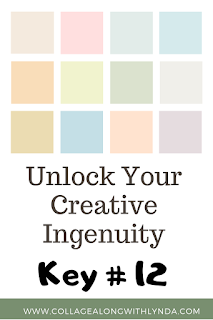 So, I've used the concept - Personalize It - to unlock my creative ingenuity (Key #12). I've identified the purpose and the recipients. In the photos included in this article, I've shared with you some of the different pins/brooches I've designed so far. I've completed 32 of the 50 I'll be gifting at this convention in June. 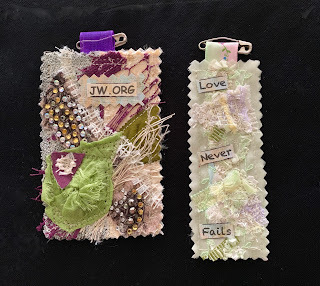 I've still got plenty of time and lots of ideas for different color combinations, wording, and embellishments. In fact, I might need some 'intervention' to limit the addiction I now have for these adorable pins. Now, it's your turn. What purpose and recipients have you come up with? With your creative ingenuity now sparked, what will you design and create? 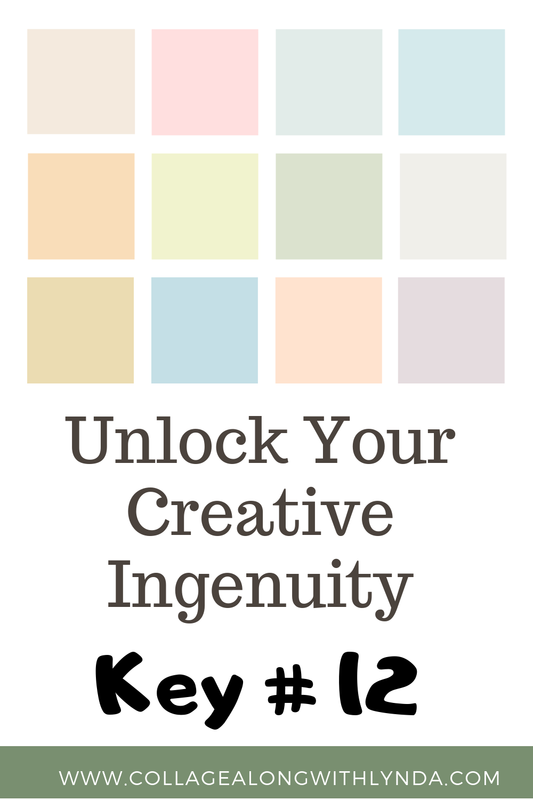 Are You a Dim-Witted Creative?